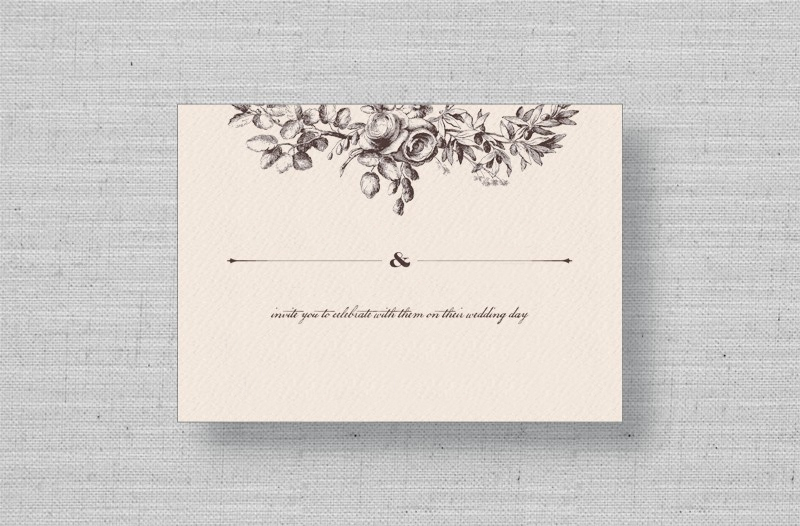 Provide wedding guests with a reply card for your Lace Flowers wedding invitations. 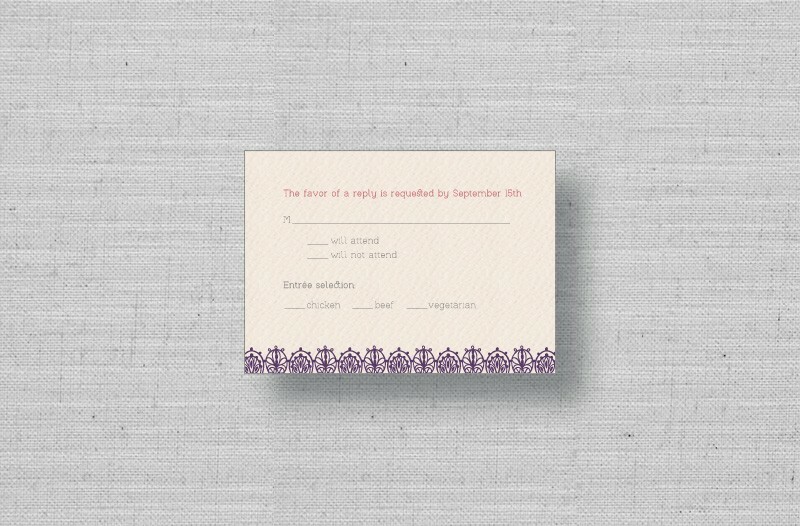 Digitally printed on ecru cardstock, in purple with gray text. Part of the Lace Flowers wedding invitations set and includes return envelope.